The Venetian mask for sale here is among the finest decorative masks available. 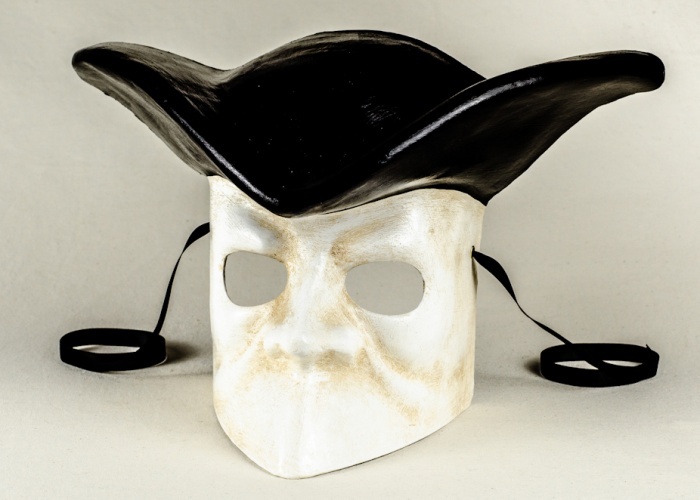 It faithfully recreates the classic bauta mask - perhaps the most famous Venetian mask - and combines it with the traditional tricorn hat. The light patina on the face gives the mask an aged look and makes highly popular. This bautino mask can also be worn.